In giving to Life Builder Seminars, you will be supporting an ever growing community of women who are dedicated to loving God and loving one another. 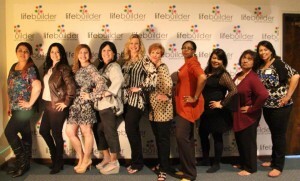 Life Builder Seminars is dedicated to equipping and empowering women for life, through God's word and principles. As good stewards of the money God has entrusted to us, we believe it’s important to return the first fruits of all the increase we receive. We always recommend giving to your home church first for your tithes, but if you are looking to pour resources and encouragement into the lives of women each day- prayerfully consider Life Builder Seminars for your offerings. Want to know more about us? Keep reading…. We highly value the security of your information, which is why we use PayPal to accept all forms of donation. They have the highest and best security standards available and your information is always kept confidential.Don’t forget to print your receipt from the confirmation page for your tax deduction! By supporting Life Builder Seminars, you will be making a contribution into the lives of women. We are dedicated to equipping and empowering women for life through God’s word and principles (learn more here). Many of the women we reach are living passionate lives for Christ, but needed some encouragement and instruction along the way. As we grow and expand by opening additional chapters, your contribution becomes even more valuable! So, why Life Builder Seminars? Because we believe in being good stewards with the resources entrusted to us. We stretch every cent to the max, so that we can reach more women. We highly value the security of your information, which is why we use PayPal to accept all forms of donation. They have the highest and best security standards available and your information is always kept confidential. Don’t forget to print your receipt from the confirmation page for your tax deduction! There are several reasons we believe it’s important to have monthly seminars to build our Community of Women. The Word calls Women to Teach Other Women. In Titus 2, Paul instructs Titus to lead his church in such a way that men and women are serving specifically as godly men and godly women, and specifically as godly older and younger men and women. The famous command for older women to teach younger women “what is good” (Titus 2:3) is a driving force behind Life Builder Seminars. We Seek to Raise Up Word-filled Women. It’s crucial for women to receive regular teaching of the Word from ordained leaders, and instruction and encouragement from their pastor. It’s also crucial that women “teach what is good” by passing on to other women practical principles and the grounding in the Word from which those principles grow. What a blessing is the role model whose heart and mind are saturated in Scripture, whose life is being transformed by the Spirit into the image of Christ, and whose tongue is proclaiming his excellencies loud and clear. We do this daily via social media, our weekly blog and our monthly chapter seminars. Spirit-filled women bless their whole church. As women encourage each other in Christ through his Word, they become increasingly Godly, prayerful connectors with others in the body—family members, those needing physical or spiritual help, children, and church leaders. We believe this can have a far-reaching impact as the women in Life Builders take the lessons they have learned back to their home churches and become a blessing to others. Reaching women is a valuable evangelism tool. While Life Builder Seminars is an excellent place to build life long connections and friendships, it’s more than that. Women have an amazing opportunity to embrace other women who would never come to a mixed group. We have an enormous calling and responsibility to minister to lost and hurting women who are drawn to authentic, gracious community- and who need to encounter Jesus.